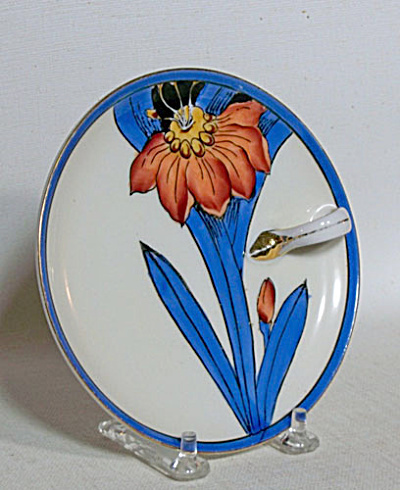 This Noritake Deco 5.5 inch lemon server has a great look. The wild blue leaves with black outlines highlight the asymmetrically placed red blossom . The blue rim adds unity to the piece. Red wreath mark in very good condition.